Kevin W. Weber | Professionals | Gibbons P.C. Kevin W. Weber has a broad practice providing strategic guidance to businesses of all sizes in litigation, dispute resolution, and general counseling matters. Mr. Weber brings a results-oriented approach to his clients’ specific business needs, whether those needs be crisis management, pre-litigation counseling and avoidance strategy, expedited proceedings and injunction practice for emergency situations, cost-effective case management, or proactive “bet-the-company” litigation. Mr. Weber’s wide ranging experience includes real estate disputes, litigation involving government entities, trade secret actions, business divorces, and professional liability/malpractice matters. Mr. Weber is also a Rule 1:40 New Jersey Court Approved Mediator, and has experience in a wide variety of alternative dispute resolution venues. Selected to the Super Lawyers Rising Stars list, Mr. Weber has significant experience in expedited proceedings taking place in the Chancery Division of the Superior Court of New Jersey. Prior to joining the firm, Mr. Weber served as a law clerk to the Honorable Kenneth S. Levy, Presiding Judge, Superior Court of New Jersey, Chancery Division, General Equity Part, and he remains actively involved in the Equity Jurisprudence sections of the New Jersey and Essex County Bar Associations. Mr. Weber represents developers, business owners, and commercial landlords and tenants in all facets of real estate litigation, including lease disputes, quiet title actions, eviction, ejectment, and summary dispossess matters. He has extensive experience in the procedures of New Jersey’s Landlord/Tenant Court, as well as in the Chancery Division of the Superior Court of New Jersey, the venue of many real estate related actions. 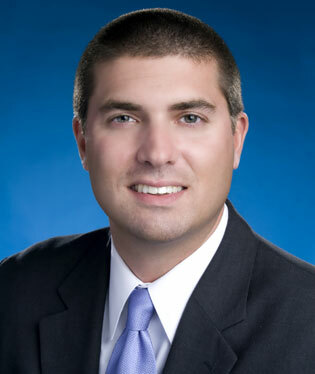 Mr. Weber has represented public entities in various litigation and counseling matters, including the New Jersey Sports & Exposition Authority (NJSEA), New Jersey Transit, New Jersey Department of Treasury, Port Authority of New York and New Jersey (PANYNJ), and the New Jersey Schools Development Authority (NJSDA). Mr. Weber has also litigated against public entities, including the Delaware River Port Authority (DRPA) and numerous municipalities, with significant experience in the area of procurement and bid protests. Mr. Weber’s construction practice involves representing owners, developers, and contractors in contract negotiation, dispute resolution, and litigation. Mr. Weber’s experience includes disputes regarding construction defects, faulty design claims, change orders, delay claims, procurement issues, and bid protests. Mr. Weber has represented clients in a wide range of complex disputes, including shareholder and limited liability company litigation, breach of contract actions, commercial torts, breach of fiduciary duty actions, and professional liability/malpractice litigation. He has experience in all stages of commercial litigation, from expedited injunction proceedings, discovery, dispositive motion practice, and appellate practice. Mr. Weber is Rule 1:40 qualified mediator and is listed on the New Jersey roster of court-approved mediators. Mr. Weber’s experience as a litigator enables him to quickly assess not only the strengths and weaknesses of the parties’ positions, but also the cost, time, and other practical considerations of the parties’ dispute. Obtained summary judgment on behalf of a New Jersey hospital against a tenant pharmacy regarding the interpretation of a restrictive covenant lease provision. Successfully defended action seeking to temporarily restrain the seller of a shopping center and freeze sale proceeds based on allegations of fraud. Lease termination and acceleration action on behalf of a commercial landlord for over $2 million in damages. Representation of a court-appointed Receiver for a commercial property in Jersey City, New Jersey, regarding summary dispossess actions against three retail tenants. Prosecution of a professional malpractice action on behalf of a bank against a real estate appraiser seeking over $3 million in damages. Obtained permanent injunction in the District Court of New Jersey against a bi-state agency overturning a procurement award for a $18 million bridge painting contract. Won the dismissal at trial in the Superior Court of New Jersey of a bid protest action by the runner-up bidder seeking to invalidate the award of school janitorial services contract. Obtained summary judgment against a municipality invalidating an arbitrary and capricious ordinance that banned 24-hour convenience stores. Defended the recipient of a Business Employment Incentive Grant in a clawback action by the New Jersey Economic Development Authority. Part of the team that successfully represented the New Jersey Department of Treasury in the bid protest and subsequent appeal of the State’s award of a contract to privatize the New Jersey State Lottery. Litigation counsel to the New Jersey Sports & Exposition Authority on matters related to the development of the American Dream project and the privatization of Monmouth Park and the Meadowlands Racetrack. Defense of a general contractor in an AAA arbitration action brought by the developer of a warehouse project for over $3 million in delay damages. Prosecution of a $5 million construction defect claim on behalf of a country club against the general contractor and numerous subcontractors. Prosecution of performance and payment bond claims by a general contractor against the surety for unfinished work by subcontractors during the construction of a big box retail store. Defense of residential luxury homebuilder in a Consumer Fraud Act and water infiltration warranty claim. Obtained preliminary injunction against a departing employee and his new employer for violations of the New Jersey Trade Secrets Act and breach of the duty of loyalty based on the inevitable disclosure doctrine. Successful dismissal of a Caremark (failure to monitor) claim in Delaware Chancery Court against a Director of an insolvent insurance company. Successful summary judgment dismissal of an action against a homeowner seeking rescission of a deed and revocation of estate planning documents. Defense of an international coatings manufacturer in a case involving over $100 million in alleged damages to a private yacht. Defense of a national flooring manufacturer in a $20 million environmental remediation cost recovery action involving complex issues of corporate successorship. Defense of an international food company against allegations of misappropriated trade secrets related to construction of new factory. Prosecution of a limited liability company member oppression action involving a minor league baseball team. Defense of a national law firm in a malpractice claim regarding the sale and valuation of a family business during a management buy-out transaction.